Palamon and Arcite are captured while fighting for Thebes against Athens. While imprisoned, the two cousins find themselves attracted to Emilia, who is the sister of Hippolyta, wife of Theseus. Their professed "eternal friendship" takes a beating as the two vow to woo her. Theseus exiles Arcite from Athens and leaves Palamon in jail. 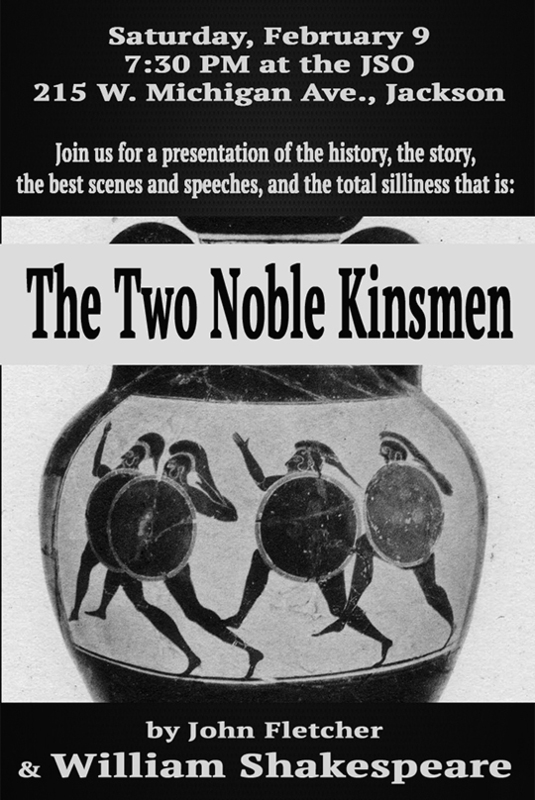 Join us for the history, the story, the best speeches and scenes of William Shakespeare's Rom-Com The Two Noble Kinsmen. Doors open at 7, the reading starts at 7:30. Please click on the performance date you would like to attend.